The Lancaster Collection of outdoor seating from Inspired Visions by Peak Season features a beautiful Golden Penny hand-painted finish on a durable, rust-proof aluminum frame. Gold highlights accentuate the details on the frame throughout the collection. 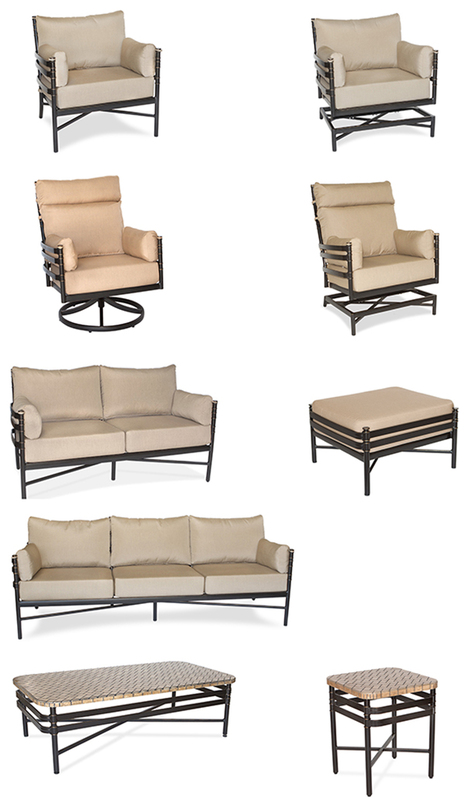 The seating pieces feature the added comfort of cushioned armrests that are easily removed. The armrest pillow on the sofa and loveseat make from a great nap on lazy summer days! The Lancaster club seating includes a stationary club chair in a standard height along with a spring-action club chair in the same height. 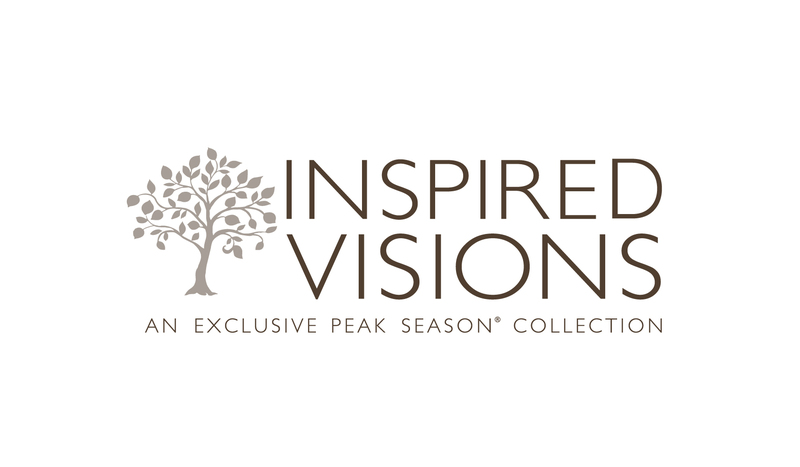 Inspired Visions also includes the incredibly comfortable high-back Lancaster club chair in both a swivel rocker and spring action style - both of which are a generous 42.5" high. The collection has 2 dedicated occasional tables: a side table and coffee table. Both tables feature a porcelain mosaic top that you will enjoy for years to come. The dark grout resists staining and the porcelain tile offers a maintenance free surface that is impervious to water and heat. The high-back swivel rockers, sofa, loveseat and tables are featured in our showroom in the Sunbrella Spectrum Denim fabric shown in the image below.